close up, you could begin to make out the beginnings of feathers mixed in with the down. wings are longer, but with no feathers yet, look like skinny 2 jointed arms. 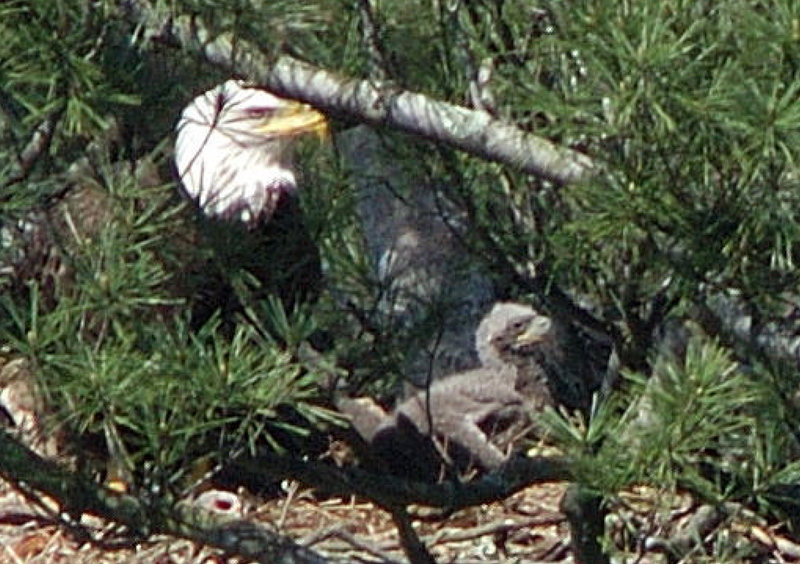 One of the Young next to a Parent, May 1, 2004. Two Young (one to the right is sleeping) May 6, 2004. The young are now about half the height of their parents and do not spend much time trying to keep warm under the nest sitting parent like they did when they were smaller. nest. They lie on their belly with legs folded underneath, and they rest their head on the bottom of the nest. 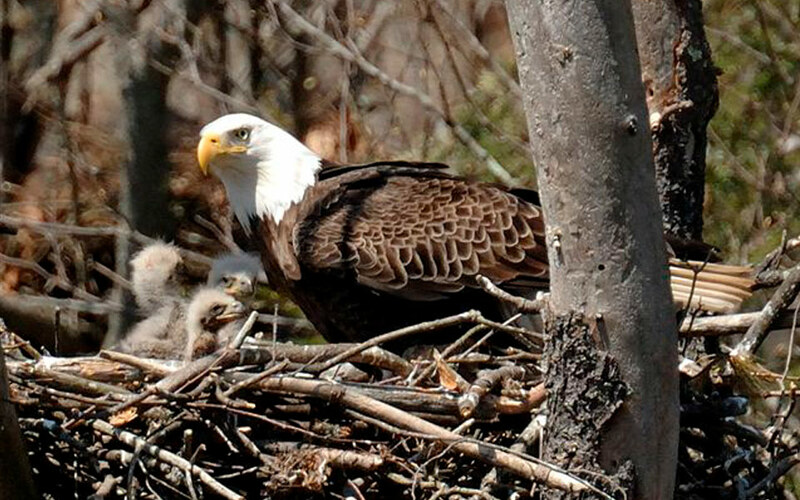 The young are eating more now, and the parents are busy hunting for prey and feeding the now rapidly growing eaglets. Most of their diet is fish. With this nest, I saw several species of fish and 1 squirrel delivered to the nest by the adults. 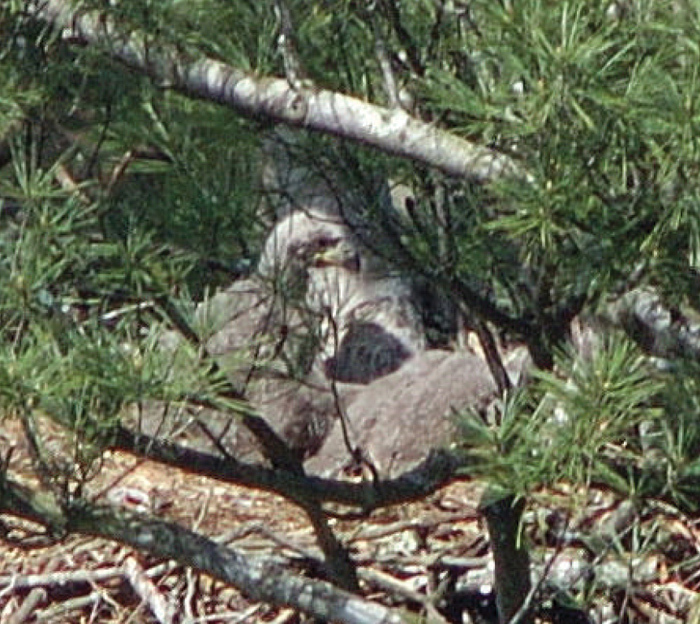 Adult and 1 Young with right wing visible, May 6, 2004. 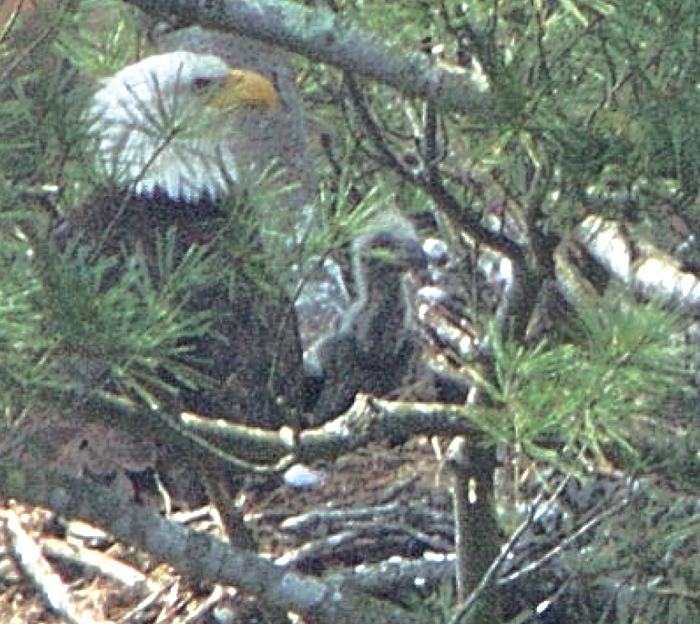 Close-ups of an eaglet during a Nest Survey in New York State. Notice the beginnings of Feathers growing on the back and over the head along the down, which is on the front and below the neck. Peter Nye, NYDEC, May 1, 2004. Baby Eaglets. Once the young hatch, both parents take turns feeding, caring and protecting their young.